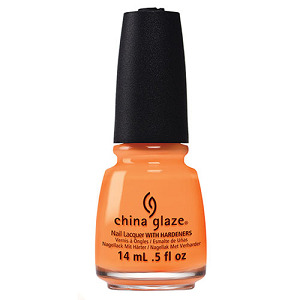 China Glaze Nail Polish, Home Sweet House Music, 1398, .50 fl. oz. Bright, neon tangerine orange creme nail color. China Glaze Electric Nights Collection.